A brilliant opportunity to start a career as a chef. 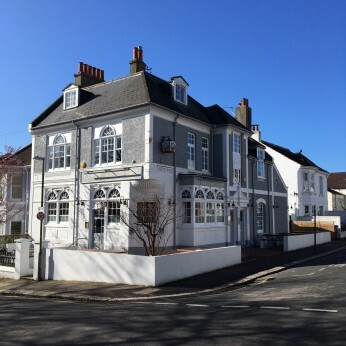 The Cleveland Arms pub is in an affluent part of Brighton and we are looking for an apprentice chef to join our team. We will pay for your college education, chef qualification and other food & hygiene training. We've already successfully trained 2 other chefs’ since starting the business 18 months ago. The successful applicant will work alongside the Head Chef and gain experience across the full menu. A unique opportunity to learn and develop skills quickly. A small kitchen provides the opportunity to prepare and cook a range of dishes. Working with an ambitious team will enable you to be proactive and develop your own ideas. Committed to delivering a high standard in the kitchen is essential covering everything from cleaning to food hygiene. Weekly pay, share of tips and pension benefits also come with the salary and training package. Apply to Sarah Davies, Owner. Email [email protected] and telephone 07766000131.